The problem with the Lonnie Zamora, Socorro, UFO sighting was that it was single witness. There were hints that others might have seen something, but the names never seemed to surface. Opal Grinder, who managed a gas station in Socorro, told Dr. J. Allen Hynek that a family had stopped for gas and the father had said something about the aircraft flying low over the town. Grinder didn’t understand the significance of the statement at the time and he didn’t know who the man was. There was no credit card receipt so there was no way to track them and they have never come forward to tell their tale, if they had one to tell. On April 29, 1964, just days after the sighting, two men who lived in Dubuque, Iowa, told the local newspaper that they had seen the UFO. Paul Kies and Larry Kratzer, who had been in New Mexico to retrieve a boat that had been left behind, when they drove through Socorro. The story that appeared in the newspaper was fairly inaccurate. Since no one had actually talked to them since that initial report, Iowa UFO researcher, Ralph DeGraw decided he would some fourteen years later. According to an article that he published in The UFO Examiner in September 1978 and republished in The MUFON UFO Journal in October 1978, DeGraw recounted what he had learned. Kies, according to DeGraw, said that he had seen a cloud of dust followed by black smoke. He thought they were about a mile away, and that it was coming up, from the ground. There seemed to be something bright and shiny in the smoke. He wasn’t sure if the reflection, as he called it, had been from the low hanging sun, if it was reflecting from something on the ground or if an object was emitting the light. At that time, he didn’t think about having seen a UFO. Kratzer told DeGraw that they were about a mile west of Socorro when he saw a cloud of black smoke coming from the ground ahead of them. Kratzer said that he pointed it out to Kies and watched as a saucer or egg-shaped object lifted off vertically, from the black smoke. He wasn’t sure how far away they had been, especially since it had been so long (fourteen years) ago. He thought it was about one-half to a mile away and might have been a thousand feet in the air. He said that after it had climbed vertically out of the smoke, it leveled off and then disappeared behind the black smoke that was coming out of the rear. He said that the object itself was shiny silver with a row of darker, mirror-like windows that he assumed wrapped around the craft. There was a red Z toward the right end of the object. It made no noise and when DeGraw asked what he thought it was Kratzer said that it might have been a vertical lift aircraft. They drove on into Socorro and stopped for gas. He thought that Kratzer might have mentioned the sighting to the attendant but he wasn’t sure. There might have been an attempt by some, certainly not DeGraw, to suggest that these were the people that Opal Grinder had seen, but Grinder was sure that it had been a man and woman and their three children. Kies said they were listening to the radio late that night, as they headed back to Iowa, when he heard about the Zamora sighting. They realized that they might have seen the same object after it had taken off but said nothing about it to others until they arrived back in Dubuque. DeGraw wasn’t impressed with the testimonies. He noted that the stories differed from one another and that neither matched very closely that given by Zamora. It suggested that they had made up the story, and while that certainly is a possibility, it would seem that had that been the case, one or the other might have said that to DeGraw, especially since it have been nearly a decade and a half since they had talked to the newspaper reporters. I’m not sure that these discrepancies found in the stories after so long are all that significant. They did agree on the general descriptions and it is only some of the details that are different which could be explained by the time elapsed and the different perspective of the witnesses. I’ve always worried about two guys from Dubuque, Iowa, being in a position to see this but their explanation of that seems reasonable. They called the newspaper when they got home, so it was all recorded, however inaccurately by the newspaper, at the end of April 1964. If the two men did see something outside of Socorro on April 24, 1964, then it suggests that something unusual was seen by Zamora. This would seem to reduce the possibility of a hoax. It makes the case stronger, and sometimes, after all these years, that’s about the best that can be hoped for. Although I really don’t have time for this, meaning more nonsense about MJ-12, Stan Friedman has complained that I, and Barry Greenwood and Robert Hastings, have ignored the report by Dr. Roger Wescott, who examined the Eisenhower Briefing Document to determine if it had been written by Rear Admiral Roscoe Hillenkoetter. There is nothing to say that he had been the author, no real reason to assume that he was, except that he had been the Director, Central Intelligence Agency, but this seems to be the belief. To me this is a ridiculous exercise simply because, without additional information, that question cannot be answered. Here’s what we know. Wescott was a linguistics professor at Drew University and Stan wanted him to try to determine if Hillenkoetter had written the EBD. Along with the EBD, he gave Wescott some twenty-seven samples of what he believed to be Hillenkoetter’s writings. I’ll explain that “believed to be” in a moment. Seriously? You’re saying that someone could have simulated Hillenkoetter’s style? You’re saying that no matter how valuable Wescott’s analysis might be, it would never prove that Hillenkoetter wrote the EBD… then what is the point of even bringing him in to the discussion in the first place? There is an additional problem here. Wescott was a NICAP special advisor in the late 1960s. He was familiar with the world of the UFO. 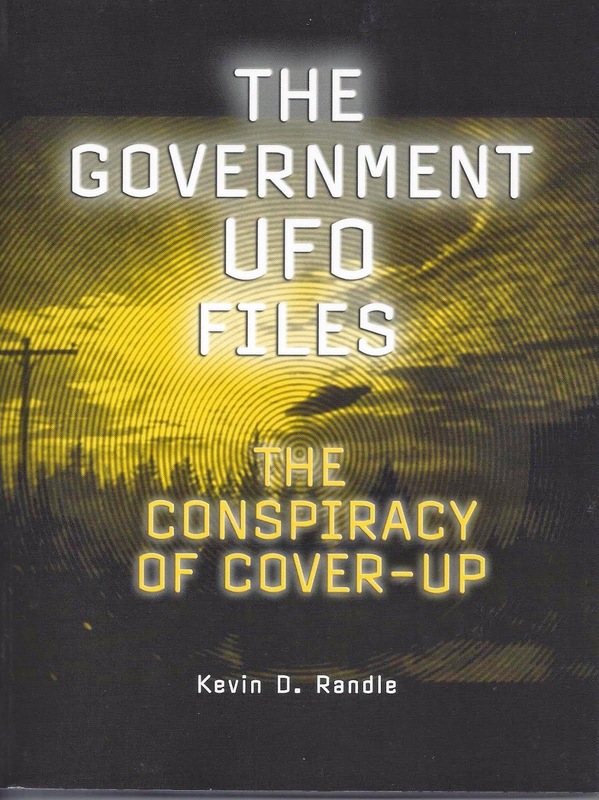 It might be suggested that his analysis wasn’t that of a disinterested third party, and while he might not have had a dog in the MJ-12 fight, he knew something about UFOs. Wescott’s analyses are not all that impressive. They are best described as he said himself as “inconclusive,” which means that Wescott’s analyses proved nothing and certainly are not supportive of the conclusion that Hillenkoetter wrote the EBD. This means that while Hillenkoetter might have provided the initial information, would have reviewed and edited the document, he didn’t actually write it. I can’t tell you how many times I was given information and told to put it together for a report or briefing for a higher ranking officer. 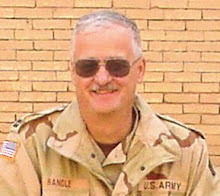 While in Iraq, I was involved in a white paper in which I interviewed a number of generals, took documents created by operations officers and combat commanders, to create a single document which was authored by that higher ranking officer. Or, to put it bluntly, there were so many of us involved that no one author’s voice came through. Sure, you all are thinking that MJ-12 was classified much higher and access to the information would have been available to far fewer people. But the overall concept still holds. Hillenkoetter would have assigned the initial work to some other officer, and while it might only have been one or two others, the point is, those one or two others would have been responsible for the first draft of the paper. Hillenkoetter would have reviewed it, and knowing how these things work, would have made alterations to it, but the overall voice would not have been his. And before I have to hear that this was so highly classified, that there just wouldn’t have been those others involved, are we really supposed to believe that Hillenkoetter typed the thing himself. Regardless of the classification, there would have been underlings involved in the process. Think of the Manhattan Project here. Weren’t there many involved who weren’t physicists or scientists who took care of all the various documents that were created in the process of making an atomic bomb? They might not have had access to everything, but in each compartment, they would have been those responsible for all the paperwork. So, even if you stipulate that Hillenkoetter is the author of the EBD, he probably wasn’t the writer. That was done by someone else (and let’s not forget about all those tabs which would not have been written by Hillenkoetter but by others considered experts in those specific topics). This explains why I, and most of the rest of us, ignore what Wescott had to say. First, he suggested his analysis was inconclusive. Second, even though there were all those samples offered of Hillenkoetter’s writing style, they were probably written by someone else. And third, the same can be said of the EBD. The initial drafts probably weren’t written by Hillenkoetter, but probably by someone at a lower level which would have altered the “voice” and made it impossible to determine if Hillenkoetter was the author. Or, to be blunt, all of this is an exercise in futility. None of it proves anything and our best course is to just ignore it as one more failed proof that MJ-12 is authentic. And before anyone asks, there is no evidence that the EBD is anything other than a fraud, written by someone who had a specific agenda, and that agenda was not to brief Eisenhower. 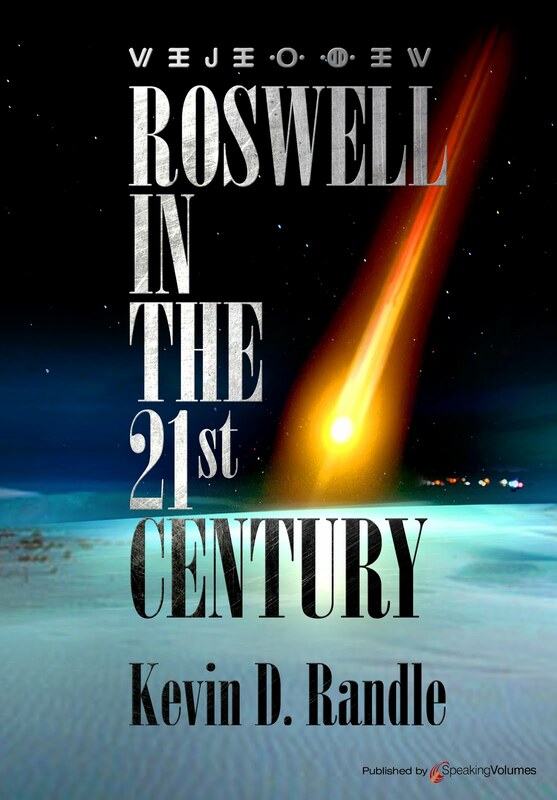 I’ve been working on my new book, which is sort of a follow up to Government UFO Secrets (notice that I’ve slipped the name of my last book into this) and I have been doing something that I don’t think is being done very much. I’ve been chasing footnotes again. This means as I research a case, looking for all the information available on it, I attempt to return to the original source as much as possible. One way of doing that is look at the footnotes in other books to see where they gathered the information. The case in question here is the attack on Fort Itaipu, Brazel on November 4, 1957. According to all those other sources, two sentries on duty saw a “new” star blossom in the distance, over the Atlantic Ocean, fly toward them, hover and then slowly descend. It was an orange disk that was humming slightly. There was a blast of heat that caused the sentries to panic. One fell to the ground unconscious and the other torn at his clothes screaming. That alerted the garrison, all of whom apparently reacted to the UFO. About the same time, as the confused soldiers attempted to find out what was happening, the lights failed, as did their communications ability, their generators and even their weapons. The electricity came back quickly and the clocks, set to ring at 5:00 a.m., began at 2:03 a.m. The injured soldiers were removed, first to the infirmary, and later to an Army hospital. The fort commanding officer ordered an information blackout, telling the soldiers not to discuss the case with anyone, not even their fellow soldiers. Someone did talk, and Dr. Olavo Fontes, APRO’s representative in Brazil learned of the case some two or three weeks later. Though he tried to interview the soldiers, using his contacts as a medical doctor, he failed. His information came from some of the officers at the fort, but he never mentioned their names, nor did he identify the soldiers. This is the bare bones of the sighting. As I was conducting my research, I looked to see what others had written about the case. In The A.P.R.O. Bulletin of September 1959, Fontes’ tale was published apparently as it appeared in his book Shadow of the Unknown. Later, in 1962, Coral Lorenzen, in her 1962 book, The Great Flying Saucer Hoax: The UFO Facts and Their Interpretation, repeated the information supplied by Fontes but in her own words. She suggested that Fontes had talked to an officer who was at the fort, but she didn’t supply his name or that of the sentries. But the point is that everything comes back to the article by Fontes in The A.P.R.O. Bulletin. I could find no new information about the case that wasn’t traced to Fontes. I did email Thiago Luiz Ticchetti, a Brazilian UFO researcher and a co-editor of Revista UFO and Coordenador da Revista UFO Brasil: www.ufo.com.br, who did update the case for me. He wrote that he had been unable to verify the tale of the injured soldiers, and unable to verify the power outage whether it was momentary or something a little longer. According to what he told me, most Brazilian UFO researchers believe that there had been a UFO sighting, but the details of what would be a Close Encounter of the Second Kind, meaning a sighting in which there are some sort of physical effects, remained unverified. Fontes, according to his own writings, never got the chance to talk to the sentries, so much of what he wrote about their reactions had to come from the officers that Fontes said he had interviewed. The problem is that he never identified them. The tale then is based, at best, on second-hand testimony and we have no way to verify the information supplied by Fontes. We must trust him based solely on the trust that Coral Lorenzen had in him and if we have no faith in that, then almost everything he wrote about the Fort Itaipu case must be carefully scrutinized. In the end, the best we can say, based on what we know, is that there was a UFO sighting and the other elements are yet to be verified.